•	Remaining states, Canada & US Islands litigated through Network Counsel. 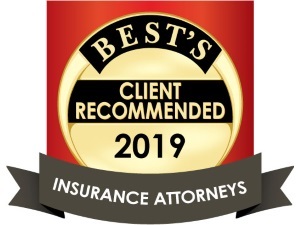 Rathbone Group’s team of licensed claims adjusters work with opposing carriers, counsel, companies and individuals to obtain a recovery without the expense of a legal program. Use and subscribe to our free educational videos & podcasts! Recognized as the Subrogation Law Firm of the Year, a Top Workplace and as having a Smart Culture, Rathbone Group’s accomplished attorneys and staff work together to fulfill our clients’ goals.